It is a Heavy Body, medium set CPVC Solvent Cement. 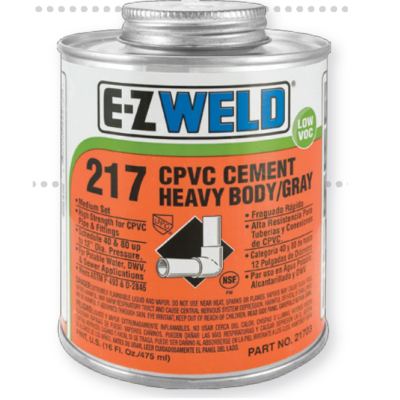 This cement is formulated for use on CPVC pipes and fittings. It is viscous (thick) and, carries very good gap filling properties. 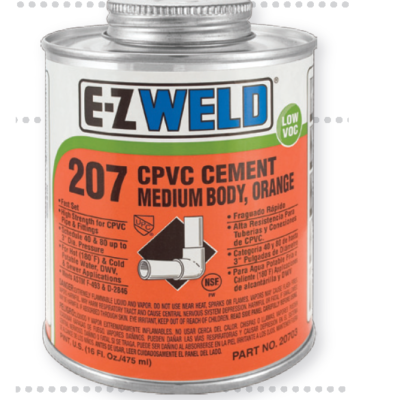 CPVC Orange is medium bodied, fast-set CPVC Solvent Cement. 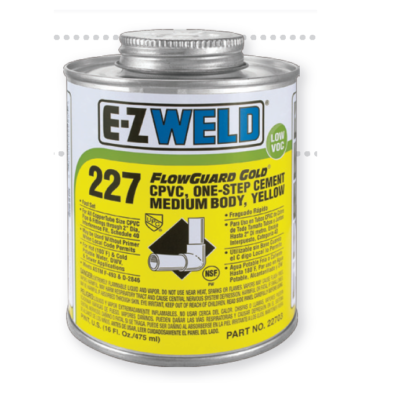 It is formulated for use on CPVC pipe & fittings, including copper tube sizes up to 3” diameter interference fit. Cement is medium bodied, fast set CPVC Solvent Cement. 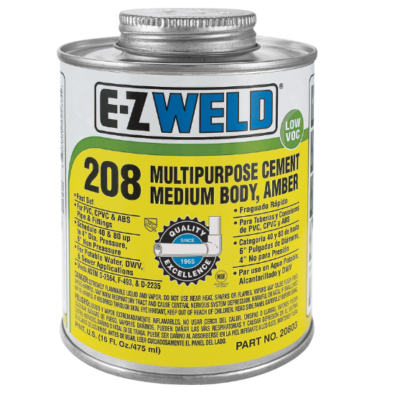 Made under license from Lubrizol Advanced materials Inc. this cement was formulated for use on CPVC copper tube sizes pipes & fittings. This specially made cement does not require the use of a primer, where code permits.